“This is not meant to be a small thing. We gave up everything to do this. We want to bring the excitement back to guitar music.” That’s Ollie Walter of The Family Rain, letting NME in on just how serious he and his bandmates were about making their raucous rock’n’roll as feral, sleazy, glamorous and fun as possible. Now’s the time for them to back up the bravado and deliver the goods: their debut LP ‘Under The Volcano’, produced by Kasabian and Arctic Monkeys cohort Jim Abbiss, is released on February 3, and singer Will Walter (Ollie’s brother – another sibling, Tim, plays drums) has compiled a handy track-by-track guide to the LP to go along the exclusive stream. 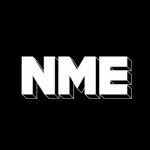 You can also see them playing a live instore at Rough Trade East on February 5, before they headline the Garage for an NME Awards Show on February 11. Please note: track streams will only work in updated browsers. Please ensure the version of the browser you’re using is the most recent. This track is based around an Ibizan drum beat and bass line, with a guitar ripping over the top. We re-recorded it with Jim Abbiss who introduced a few golden touches. It’s called ‘Carnival’ because the vocal melody was written on a xylophone which sounded like a Mardi Gras! This is the first track we put out there and the one that helped us get noticed. It’s a self glorifying whopper, inspired by the guitar hook in ‘Still D.R.E’. The vocals go down the ‘Helter Skelter’ route. It is, in short, a howl. The trippiest song on the album. We wanted it to be a punk song with breakbeat drums. It’s was named after the drug hotline. Like most of the songs, the base of the track is one live take. One of our favourites on the album. It’s the most heartfelt song on the album in quite a sadistic way. A monster with the fattest groove on the record. Lyrically it is meant to make you feel a bit uneasy, which is an effect some of our favourite records have on us. There is a sitar hidden in the storm! Probably one of the lighter moments, although the subject matter is pretty dark. It is essentially about a stalker. The chorus draws on a bit of The Beatles, a bit of The Cribs. It’s become a bit of a live favourite alongside ‘Pushing It’. This song is a written about the ball and chain obsession people have to music, us included. It is Tim’s favourite bit of drumming on the record. There is also an ancient drum machine hidden in the track. The handclaps in this song made a few palms bleed. This was originally quite a sombre song, the main riff idea was written by Tim on piano. However, me and Ollie got hold of it in the basement and it went through a bit of a transformation, got a lot heavier and is now probably one of the toughest sounding songs on the record. Sombre is definitely not the word. The vocals on the intro to this song were recorded into a kids toy whilst Will was lying on the floor of the studio. We wanted the verses to have a Strokes feel. During the outro the song really opens up and gets anthemic, however it is not an anthem. We wanted to end the album on a tear jerker but didn’t want to lay down a traditional acoustic ballad. We experimented with a kind of Phil Spector Wall Of Sound meets Motown. We wanted to end the album with a track which meant we could go anywhere with the next one.